Odd title. Right?? I wanted to write about my extrovert personality from a long time, but I wasn’t sure if I am an extrovert or not. Well, not until I took this personality quiz. This test’s results showed that I am 94% extrovert. 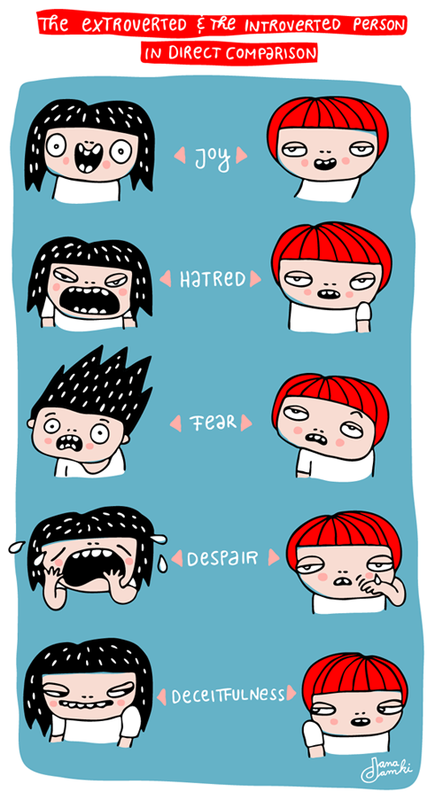 Why I was confused about being an extrovert?? Well, you know some people say that horoscopes do not make up your personality, your personality is the result of the way and circumstances that you are brought up in. Parenting shapes personalities. Now, my mother is pisces and I am a Libra. I know right??? How can a libra be an introvert. 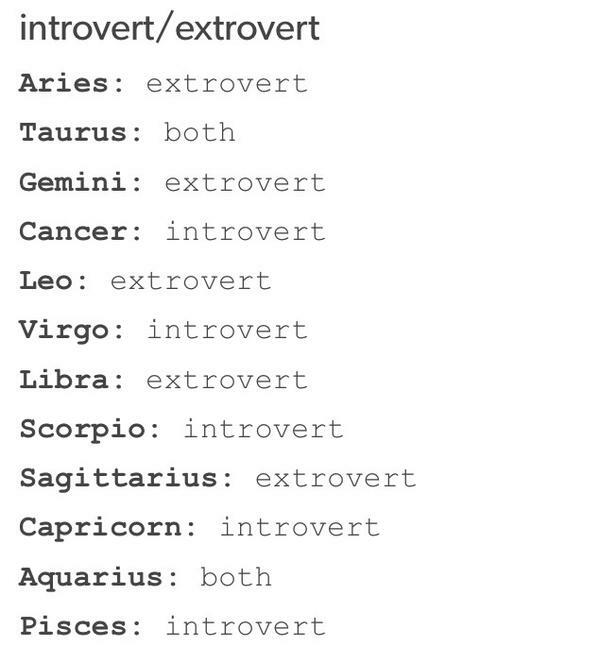 Libra people are definitely extroverts. But being the daughter of a pisces mother, my personality is that of a libra as well as pisces. I am shy like my mother. I don’t laugh, I smile. I love books. I love to carefully plan everything. I am day by day realizing that I am a perfectionist, just like my mother. Although I tell my mother that I like realistic endings, but deep in my heart I know that I always like happy endings. Just like an introvert, sometimes I want to be left alone for sometime. I often refuse to get out of the house. I even refuse to talk on the telephone. I am afraid that if I fail to recognize that voice on the phone, I’ll make a fool out of myself. But, I know that I am an extrovert because I don’t like to be left alone. I like to keep my mind busy all the time. Whenever I like something, I have to share my excitement with everyone. I even express my stress to everyone. This relaxes me. In the case of introverts, I have noticed that they accumulate stress. This can destroy them. Let it out!!! Like a libra, I was overconfident when I was a child. Now, I am not even confident. But I am trying my best to gain confidence. Like an extrovert, I love making new friends. I have a large number of friends and I love them all. I can easily start a conversation. Like an extrovert, I love getting my voice heard. I want to have my own identity. I do not highly enjoy being the centre of attention, but I do like being recognized. I love to participate in every discussion. Unlike my mother I love participating in class discussions. One of my greatest problems is that my face shows my emotions like an open book. Everyone can see what I am feeling. I can not conceal my feelings. Many a times when I am angry or sad or bored, my family members tell me “Just look at your face! !” One time when I discussed this problem with my aunt, she told me that this is good, because this means that you are still honest, that you are not insincere. 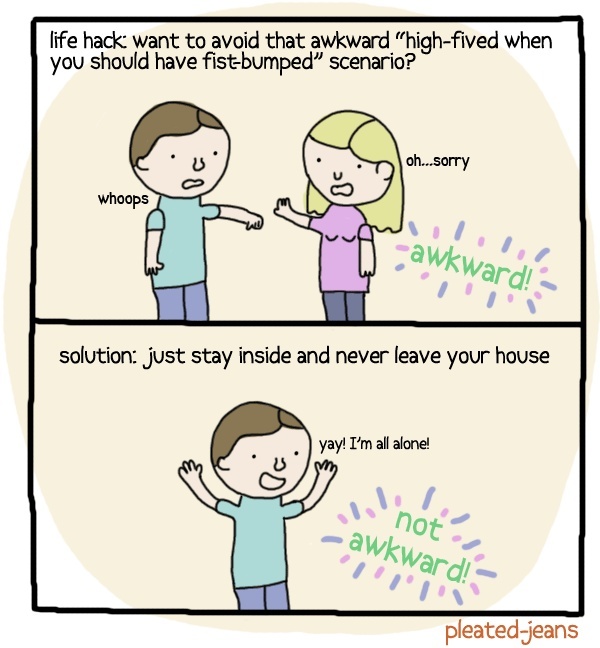 Well introversion is not being insincere. So this is a topic for another day. 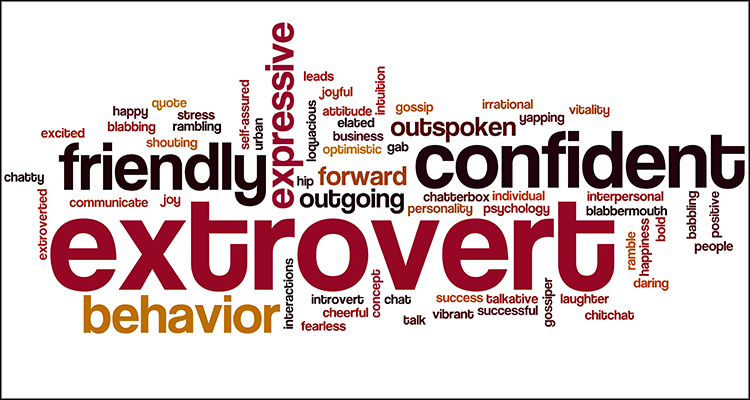 So, are you an extrovert, or an introvert?? Or are you still figuring it out like me? I have always regarded physical confidence as true confidence. A person who express his or her ideas without fear, speaks freely in front of a large audience (without shaking hands and shaking voice), and communicates to others easily, was an ideal example of confidence for me. What other definition of confidence is there, right??? Well, let’s see what else in there that defines confidence. I didn’t knew that a shy person can be confident too. Well, I didn’t till someone told me that. It happened like this. I was sitting outside my department with my friends. While we were talking, I took out my lunch box from my bag. My lunch typically consists of an omelette sandwich (I think that day I had this lunch). I took out the sandwich and began eating it. My friend, I saw, was observing me keenly. Her face was showing that she was amazed by something. She asked me that how do I do that. I was quite surprised by her question. Then she told me that I am so confident. She told me how she had trouble eating from a lunch box in front other people, how she feels so shy among other. I replied that she was one of the most confident friends I know. Then I realized that I am confident in my own way. I may be very shy and afraid (I have overcome my fear to great extent), but I have confidence in my judgement. Actually I am quite indecisive,so lets make this as I am confident in my judgement of right and wrong. 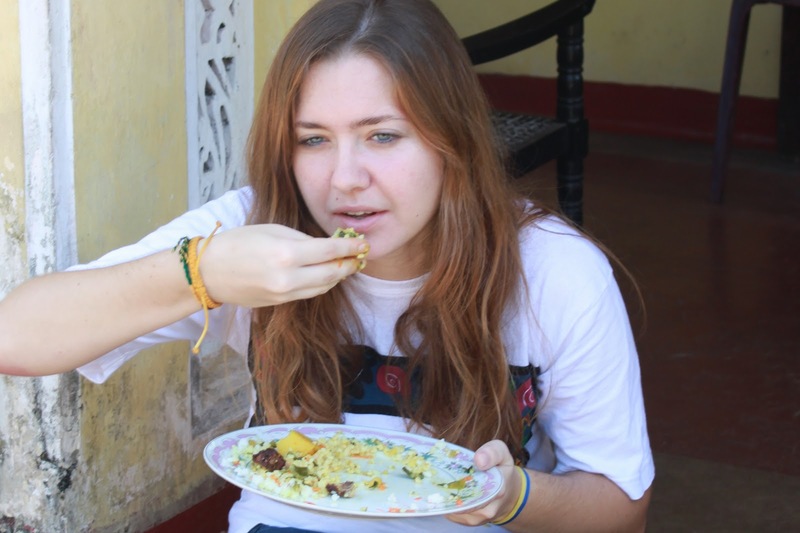 I have the confidence to say “Sorry, I do not know the answer.” I have the confidence to accept in front of others that I love to eat rice with my hands. That I feel that I have eaten nothing if I have eaten rice with spoon. I am confident in being me. In doing the right and accepting when I am wrong. I am confident in being myself. I may not be completely physically confident, but I am self confident. This brings us to another problem. 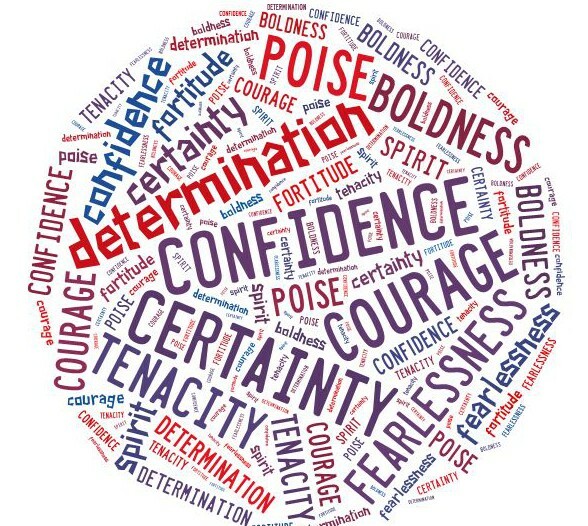 What is the link between confidence and bravery? Less well thought answer is that whoever is confident is brave. More well thought answer is that a confident person may or may not be brave. What??? How can a confident person not be brave?? What do you think about think? At that moment all the impact of her presentation fell off and I thought that she is not brave, just confident. You will also meet many people that are confident, yet they lie. And as per my mother’s saying, people who lie are not brave enough to tell truth. So, here’s the recipe of true confidence. So what I want to say is that true confidence encompasses physical confidence, self confidence, bravery, and so many other things. So, if you have one of these ingredients, strive to obtain the others too. Only when you’ll have all these ingredients you will be confident. Really and truly confident. Well, I can say that she was quite surprised when many of us answered that they feel comfortable with writing. She, herself, as I could see by the look on her face, prefered speaking over writing. She told us that speaking is easier and better because of many reasons. I am listing only a few of them. Speaking requires gestures only and you don’t have to waste a lot of words to explain you emotions. You can shape your words by adjusting them to the mood of your listeners. You can even change your way of speaking to be more convincing. You can defend yourself, whenever required. You can communicate in two way manner. You can observe the response of the audience to what you are communicating. Speech has its own grammar. So, you can be easy at grammar usage. For example, you don’t have to use complete sentences at times. I said that I feel comfortable with writing. Maybe it’s because I love writing. I am very shy in formal settings, while I am very confident in informal ones. So in formal setting I can communicate better in writing. I mean I love to express myself through colorful adjectives. 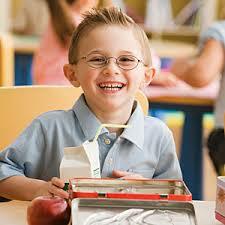 I also feel that through writing I can communicate my ideas more effectively, and more confidently. The best thing about writing is that you don’t have to see the faces of your listeners. You can communicate without caring for the response you’ll get. Writing makes you more brave. I love that writing has a structure and organization. 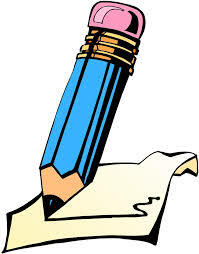 You may not think before speaking, but you think before writing, so there are fewer mistakes. It’s also easy to settle disputes and say you’re sorry through writing. You can say sorry to a friend who doesn’t even agrees to talk to you in school by texting her a long and elaborate apology with a lot of plzzzzzz….. Trust me, I have done this before and it is effective. Writing provides evidence. You can keep copies and do not have to worry about getting trouble for something that you didn’t do or say. But,I do love speaking too. I love speaking in informal setting, such as in friends, class fellows and family. I love making new friends and I usually don’t have any trouble doing that. I am also trying to love speaking in formal settings. To express my ideas more confidently and fully. Although I am a very talkative person, I feel uncomfortable with speaking in formal settings, such as in front of guests, in presentations, etc. So, till the time that I become confident, I definitely love writing. 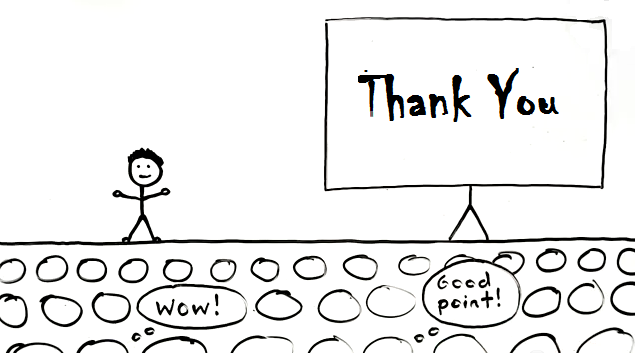 Although I am good in public speaking, I would like to get better at it. Take this poll or comment to tell me about your choice.